When we see the images of pregnant moms gaze and cradle their bellies, we are flooded by the mother’s love. 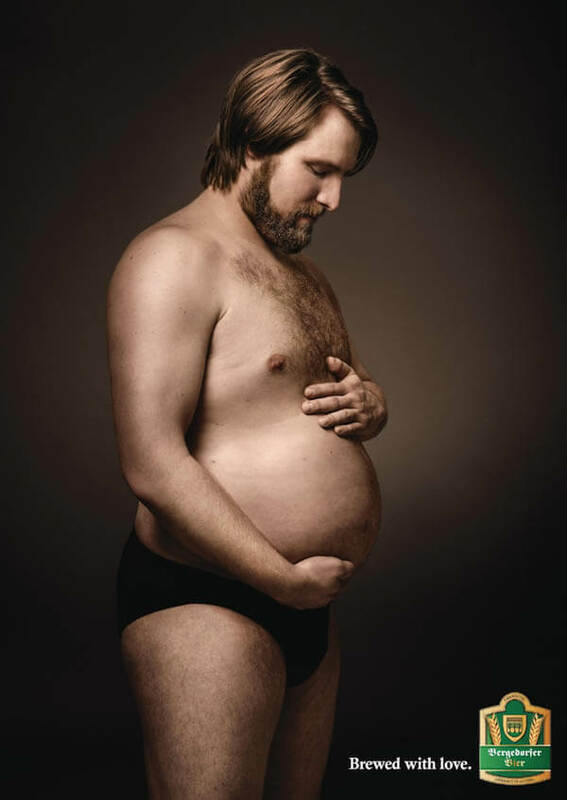 Inspired by such loving feel, German beer Bergedorfer Beer switches the sexes, asks underwear-clad men cradling bulging tummies of their own with iconic poses commonly used by mothers-to-be. The soft, dewy images were created by German advertising firm Jung von Matt. With the slogan “Brewed with love” as its slogan. I guess, Bergedorfer Beer think there is nothing a man love more than beer. Honestly, I am quite speechless by looking at these smiling men. However, no matter I like it or not, this is a pretty unusual design and will get my attention right the way. How do you like these ads?